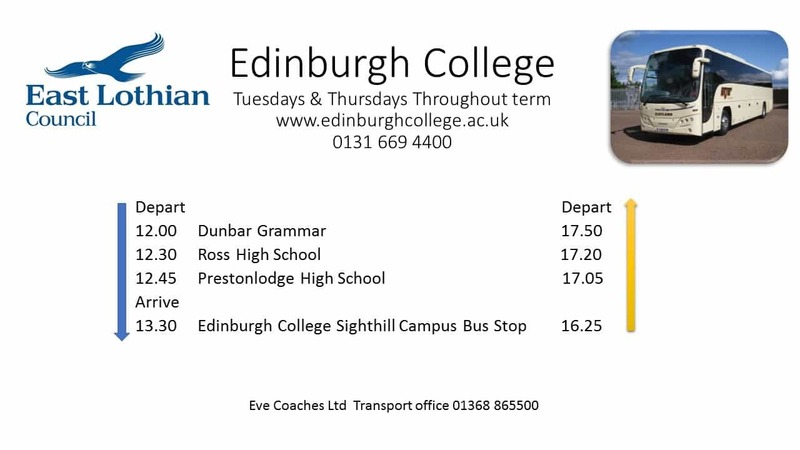 We at Eve Coaches have a fleet of 20 modern vehicles and take great pride in having established one of the most up to date modern eco friendly Bus and Coach fleets in Scotland our bus fleet has 7 Optare Solo’s all euro 5 and range in age from 2011 to 2014 at the time of purchase they were the most eco friendly in their class with Actia driver assist dashboards with fuel efficient driving telemetry. Our entire fleet have 3 point all age seat belts with high quality soft leather trim that adds greatly to the customer experience. We further equip them with CCTV and GPS tracking. Our aim is to always deliver the best customer experience. 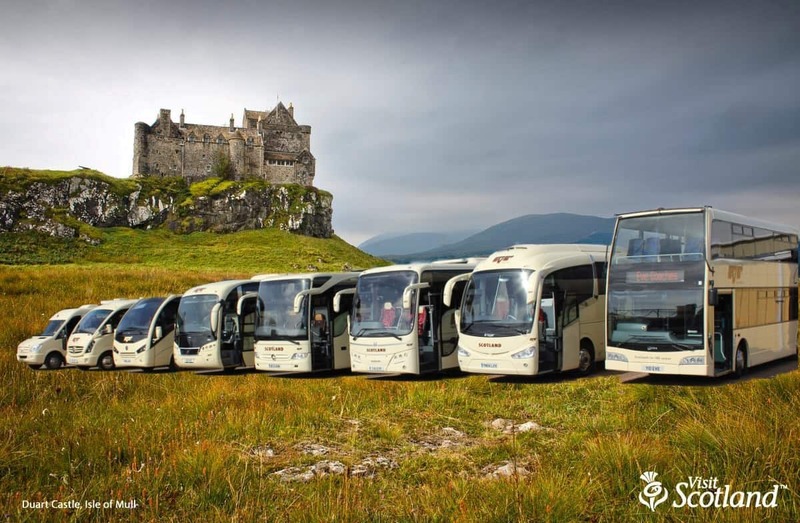 We are registered and a member of Transport Scotland and are smart ticket friendly accepting Young Person National Entitlement Cards (YPNEC) our aim is to continue to develop smart ticking as technology becomes available. 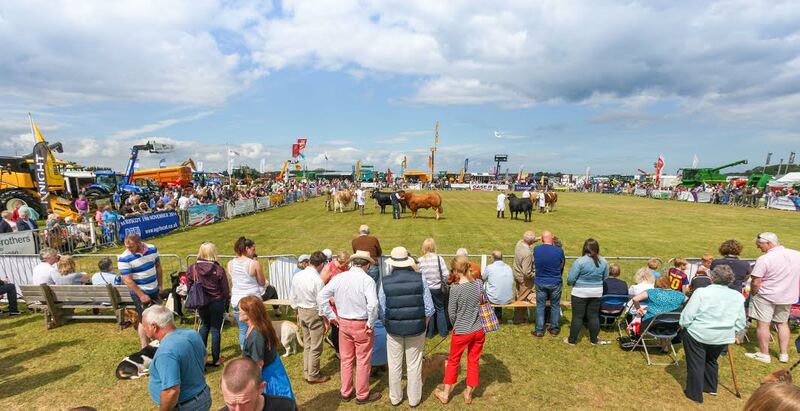 We operate Ticketer computerised ticket machines the most advanced system on the market with GPS auto stage advance, ticket sales and location live, and a lot more. 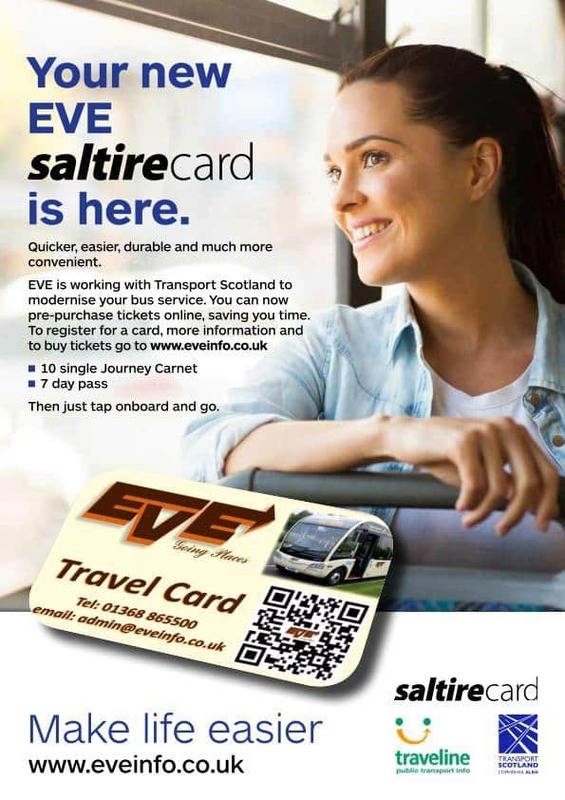 registered with transport Scotland for smart ticketing. 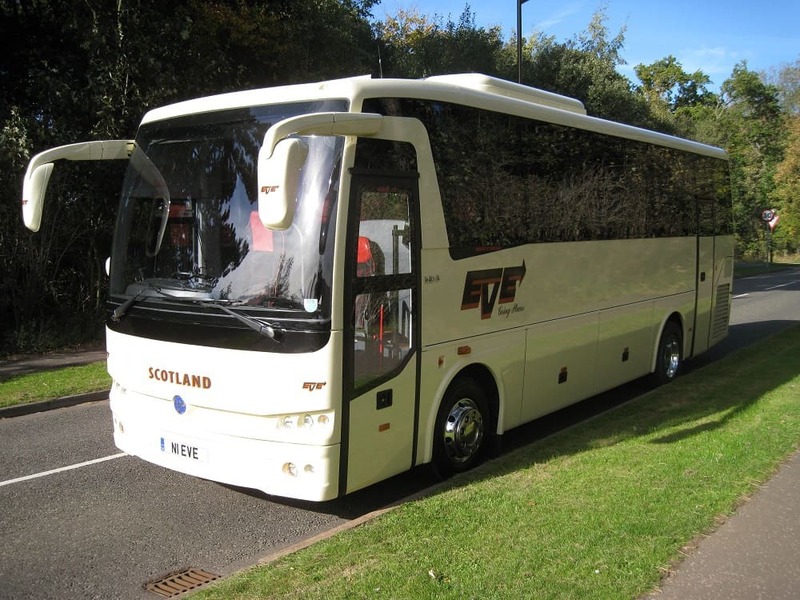 Eve Coaches manage their back office system in conjunction with transport Scotland. The maintenance and safety of our vehicles is paramount. We are transporting the most valuable cargo in the world (our families). 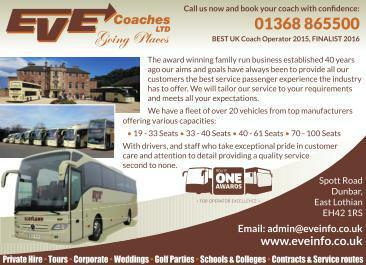 At Eve Coaches we have one of the best maintenance facilities the industry requires. This includes well lit service pits complete with vehicle hydraulic jacking equipment. This is further complimented with vehicle lifts for other types of maintenance requirements and chassis cleaning. We have a full complement of air and electrically operated power tools combined with every conceivable hand tool and screwdriver ever invented. We understand that in all aspects of our business providing the right tools doesn’t just get the job done, it gets done well and efficiently. this is further backed up with a National Recovery roadside assistance contracts in the event of a roadside failure that can’t be remedied and requires the bus to be towed back to our workshops for repair. No service operates without backup support from maintenance and duty management at any time. Out of office hours cover has access to all vehicle tracking and management systems. Modern vehicle maintenance has also become dependent on computer software packages, we have invested in those systems and trained our staff appropriately, this ability has proven very cost effective identifying problems before they become a roadside failure. We have a large stock of fast moving service parts ensuring that vehicle down time is minimised this includes windscreens, body panels and paint. We have an excellent parts supply service from Dingbro an Edinburgh based motor factors that deliver four times daily and boast millions of pounds of stock. Fuel management meets with one of our largest overheads. This facility is in house and has a fuel stock capability of 40,000 litres ensuring that we never run out of fuel even through periods of fuel supply shortages. This facility is managed through a fuel management pump linked up to our internal computer system giving us all information on the fuel efficiency of our fleet and fuel stock control. Our fuelling area is protected with a fuel interceptor for protection against spillage. All our waste products i.e oil/filters and other waste products are managed through our recycling and environmental processes in the most effective manner. 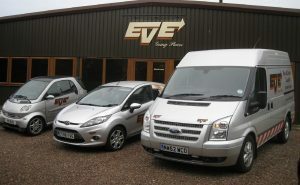 Keeping our fleet presentable and clean is paramount to the image of our business and the customers experience. 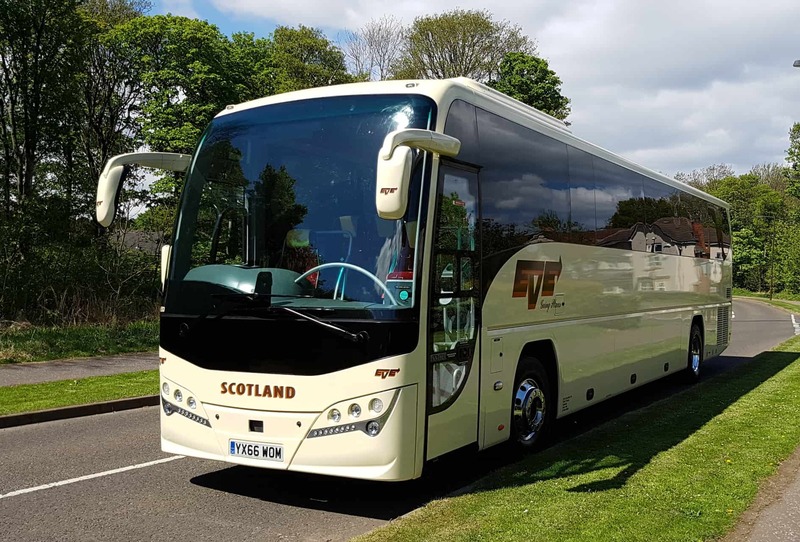 This is supported with a world class drive through coach wash that cleans the external aspect to an extremely high standard. This facility is complimented by recycling the water minimising cost and impact on the environment. All drivers at the end or beginning of their duty carry out detailed internal cleaning procedures, this ensures that no vehicle leaves our premises dirty and all drivers have a duty of care, responsibility and a sense of pride in always delivering a clean vehicle to our customers. At our premises on Spott Road Ind Estate we have the provision to park our entire fleet, this is an area of hard standing and well lit. This ensures that all walk round checks can be carried out effectively and any defects rectified prior to the vehicle departing our facility. This area is covered by CCTV as is the workshops and offices providing not only security but a back up of what happened and when. Our entire operation is dependent on our offices and administration facility attached to our workshops in Dunbar. Purpose built and complete with three offices, customer reception, staff and driver training room, canteen and restrooms. There is a network computer system linking all admin staff, Large wall mounted vehicle GPS monitoring displays and a power point display in our training room. 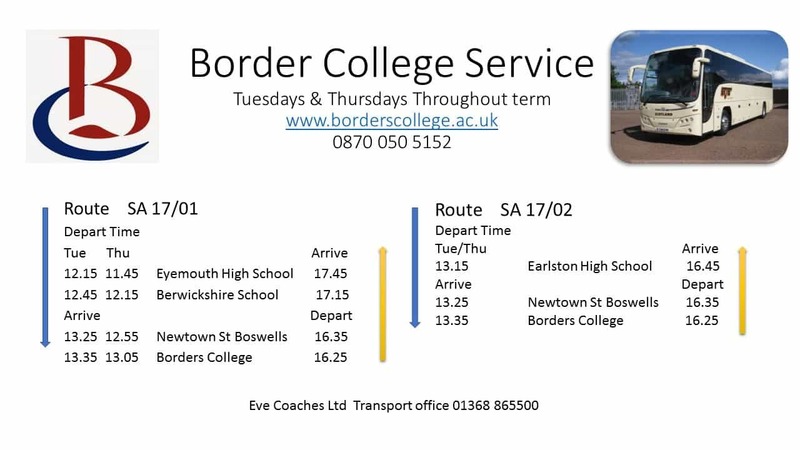 We have a dedicated website giving all our customers up to date information on all aspects of our business this includes timetable, routes and fare information, booking enquiries, information requests and customer feedback we further update any operational information live. This website is mobile friendly and can be accessed through our mobile app, QR code or browser. We further keep our customers up to date through social media on our facebook page. We have occupied our facility in Dunbar for 35 years and it has been recently been modernised with an investment of £260,000 and has the benefit of waste management and water recycling facilities, good insulation, modern thermostatic heating system and low energy lighting reducing our carbon footprint and our environmental impact. Hi Thank you so much for the service we received today, Brian was fantastic and very helpful and the kids really enjoyed the day out.